Solar Light Manufacturer, Solar Street and Area Lighting, 70 Watts LED, Running Time 8-10 hours, World Zone 2 (2-3 Hours of Daily Solar Radiation). Solar Fluorescent Lights 36 Watts, Initial Lumens 2800, Mean Lumens 2510, Color Temp. 4100, Lamp Average Life (Hours) 20,000, Incandescent Equivalent (Watts) 120. Running Time 8-10 hours, World Zone 4 (4-5 Hours of Daily Solar Radiation). Solar-Powered Fluorescent Lights 36 Watts, Initial Lumens 2800, Mean Lumens 2510, Color Temp. 4100, Lamp Average Life (Hours) 20,000, Incandescent Equivalent (Watts) 120. Running Time 8-10 hours, World Zone 2 (2-3 Hours of Daily Solar Radiation). Solar Fluorescent Lights 36 Watts, Initial Lumens 2800, Mean Lumens 2510, Color Temp. 4100, Lamp Average Life (Hours) 20,000, Incandescent Equivalent (Watts) 120. Running Time Dusk to Down, World Zone 4 (4-5 Hours of Daily Solar Radiation). Fluorescent Light Solar Powered s 36 Watts, Initial Lumens 2800, Mean Lumens 2510, Color Temp. 4100, Lamp Average Life (Hours) 20,000, Incandescent Equivalent (Watts) 120. Running Time Dusk to Down, World Zone 2 (2-3 Hours of Daily Solar Radiation). Solar Powered Fluorescent Lights 72 Watts, Initial Lumens 5600, Mean Lumens 5020, Color Temp. 4100, Lamp Average Life (Hours) 20,000, Incandescent Equivalent (Watts) 250. Running Time 8-10 hours, World Zone 4 (4-5 Hours of Daily Solar Radiation). Solar Powered Fluorescent Lights 72 Watts, Initial Lumens 5600, Mean Lumens 5020, Color Temp. 4100, Lamp Average Life (Hours) 20,000, Incandescent Equivalent (Watts) 250. Running Time 8-10 hours, World Zone 2 (2-3 Hours of Daily Solar Radiation). Solar Powered Fluorescent Lights 72 Watts, Initial Lumens 5600, Mean Lumens 5020, Color Temp. 4100, Lamp Average Life (Hours) 20,000, Incandescent Equivalent (Watts) 250. Running Time Dusk to Down, World Zone 4 (4-5 Hours of Daily Solar Radiation). Solar Powered Fluorescent Lights 72 Watts, Initial Lumens 5600, Mean Lumens 5020, Color Temp. 4100, Lamp Average Life (Hours) 20,000, Incandescent Equivalent (Watts) 250. Running Time Dusk to Down, World Zone 2 (2-3 Hours of Daily Solar Radiation). 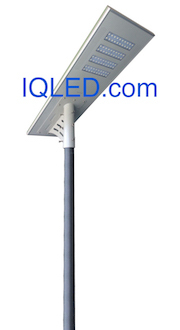 Solar Powered Fluorescent Lights 40 Watts, Initial Lumens 3150, Mean Lumens 28540, Color Temp. 4100, Lamp Average Life (Hours) 20,000, Incandescent Equivalent (Watts) 150. Running Time 8-10 hours, World Zone 4 (4-5 Hours of Daily Solar Radiation). Solar Powered Fluorescent Lights 40 Watts, Initial Lumens 3150, Mean Lumens 28540, Color Temp. 4100, Lamp Average Life (Hours) 20,000, Incandescent Equivalent (Watts) 150. Running Time 8-10 hours, World Zone 2 (2-3 Hours of Daily Solar Radiation). Solar Powered Fluorescent Lights 40 Watts, Initial Lumens 3150, Mean Lumens 28540, Color Temp. 4100, Lamp Average Life (Hours) 20,000, Incandescent Equivalent (Watts) 150. Running Time Dusk to Down, World Zone 2 (2-3 Hours of Daily Solar Radiation). Solar Powered LPS 18 Watts, Initial Lumens 1800, Color Temp. 1800, Lamp Average Life (Hours) 18,000 (Low Pressure Sodium Lights). Running Time 8-10 hours, World Zone 4 (4-5 Hours of Daily Solar Radiation). Solar Low pressure sodium LPS 18 Watts, Initial Lumens 1800, Color Temp. 1800, Lamp Average Life (Hours) 18,000 (Low Pressure Sodium Lights). Running Time 8-10 hours, World Zone 2 (2-3 Hours of Daily Solar Radiation). Low Pressure Sodium Solar Powered LPS 18 Watts, Initial Lumens 1800, Color Temp. 1800, Lamp Average Life (Hours) 18,000 (Low Pressure Sodium Lights). Running Time Dusk to Down, World Zone 4 (4-5 Hours of Daily Solar Radiation). Solar Powered LPS 35 Watts, Initial Lumens 4600, Color Temp. 1800, Lamp Average Life (Hours) 18,000 (Low Pressure Sodium Lights). Running Time 8-10 hours, World Zone 4 (4-5 Hours of Daily Solar Radiation). Solar Powered LPS 35 Watts, Initial Lumens 4600, Color Temp. 1800, Lamp Average Life (Hours) 18,000 (Low Pressure Sodium Lights). Running Time 8-10 hours, World Zone 2 (2-3 Hours of Daily Solar Radiation). Solar Powered Light LPS 35 Watts, Initial Lumens 4600, Color Temp. 1800, Lamp Average Life (Hours) 18,000 (Low Pressure Sodium Lights). Running Time Dusk to Down, World Zone 4 (4-5 Hours of Daily Solar Radiation). Solar Powered LPS 35 Watts, Initial Lumens 4600, Color Temp. 1800, Lamp Average Life (Hours) 18,000 (Low Pressure Sodium Lights). Running Time Dusk to Down, World Zone 2 (2-3 Hours of Daily Solar Radiation). Solar Powered LPS 55 Watts, Initial Lumens 7650, Color Temp. 1800, Lamp Average Life (Hours) 18,000 (Low Pressure Sodium Lights). Running Time 8-10 hours, World Zone 2 (2-3 Hours of Daily Solar Radiation). Solar Powered LPS 55 Watts, Initial Lumens 7650, Color Temp. 1800, Lamp Average Life (Hours) 18,000 (Low Pressure Sodium Lights). Running Time Dusk to Down, World Zone 4 (4-5 Hours of Daily Solar Radiation). Solar Powered LPS 55 Watts, Initial Lumens 7650, Color Temp. 1800, Lamp Average Life (Hours) 18,000 (Low Pressure Sodium Lights). Running Time Dusk to Down, World Zone 2 (2-3 Hours of Daily Solar Radiation).